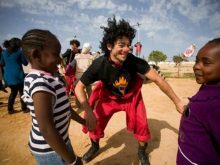 In 2012, Clowns Without Borders Spain went to Tunisia with the support of the UNHCR to bring joy to the refugees in Shousha Camp. They performed 8 shows for 1429 people. 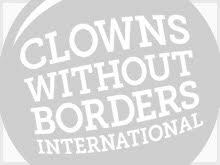 In 2012, Clowns Without Borders Spain went to Tunisia with the support of the UNHCR to bring joy to the refugees in Shousha Camp. They performed 7 shows for 1680 people.